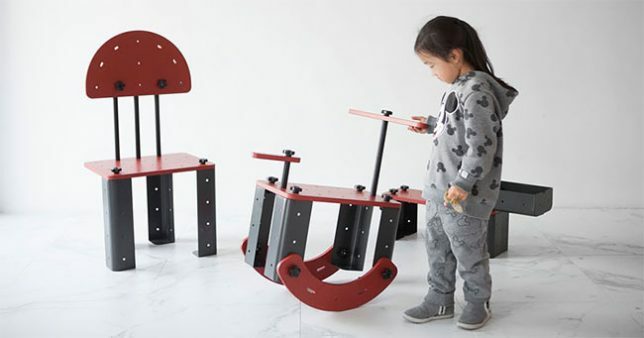 At the intersection of toys and furniture, TONITURE borrows from classic construction sets with a critical twist: the do-it-yourself objects kids design and build with these pieces are functional as well as fun. 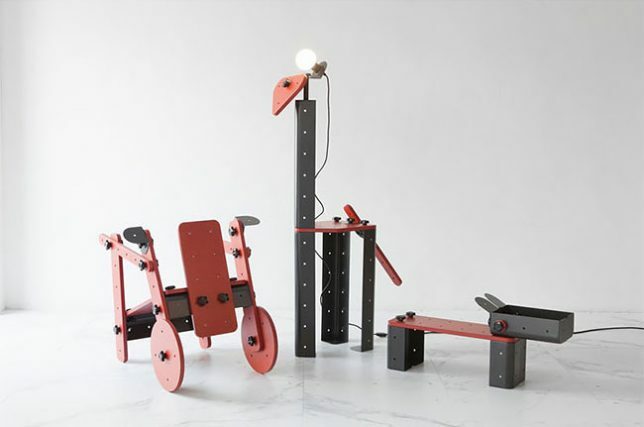 The Korean design studio G280 were inspired by Meccano, a kit-based building toy now almost a century old (that long predated LEGO and Erector). 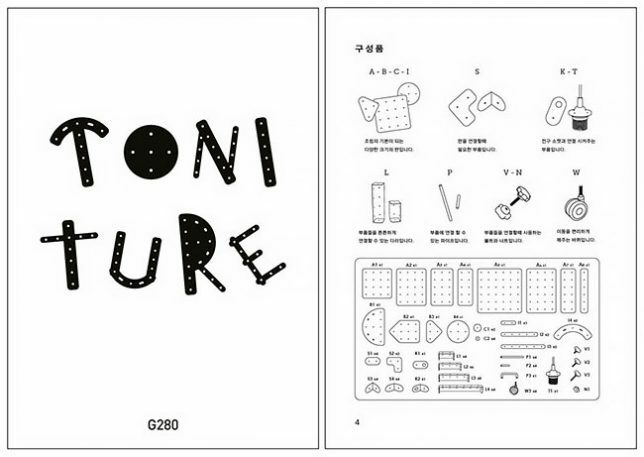 Meccano let children put together metal pieces then animate them with wheels, pulleys, gears, axles, plates, girders, all connected by nuts and bolts. 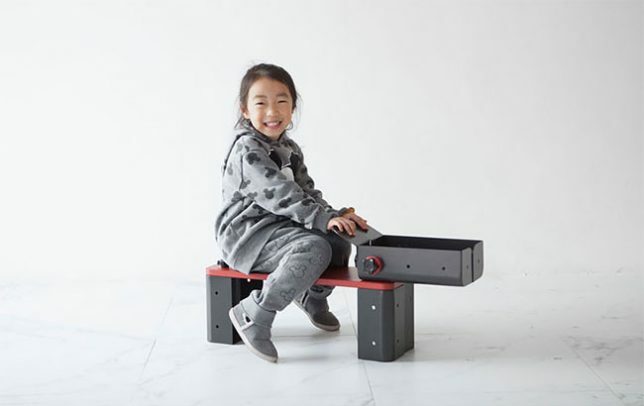 The TONITURE approach follows much the same logic but at a larger scale, allowing small users to assemble creations with joints and surfaces scaled for use by kids. 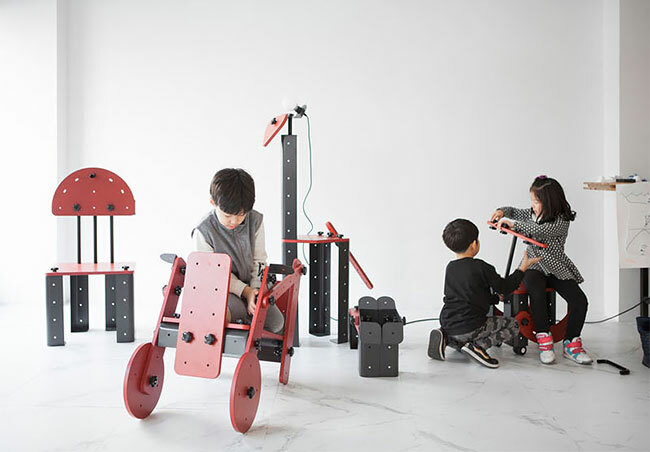 There are useful creations, like carts and chairs, and fun hybrid objects including rocking horses and cute animal-shaped benches. 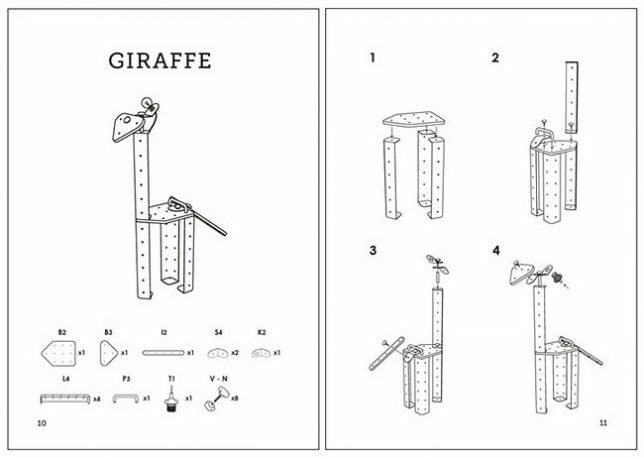 Instructions are offered for specific designs, but kids can also use the parts to build experimentally.